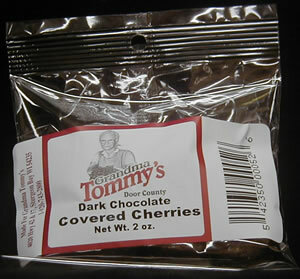 Home > Dark Chocolate Dried cherries 2 oz. Dark Chocolate Dried cherries 2 oz. The great taste of Door county dried cherries covered in dark chocolate.